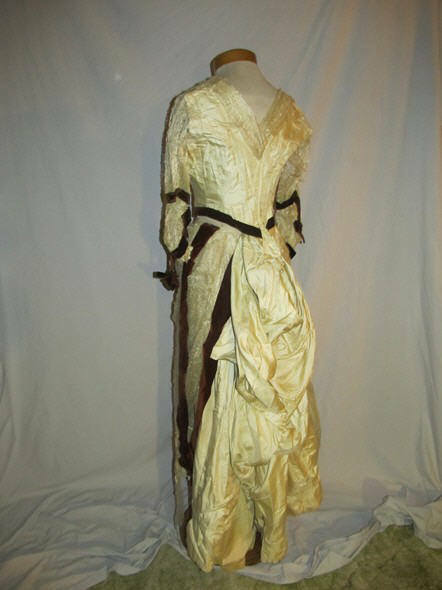 This beautiful Victorian gown is made from ivory silk twill and trimmed with a sheer silk with a loopy silk woven stripe. 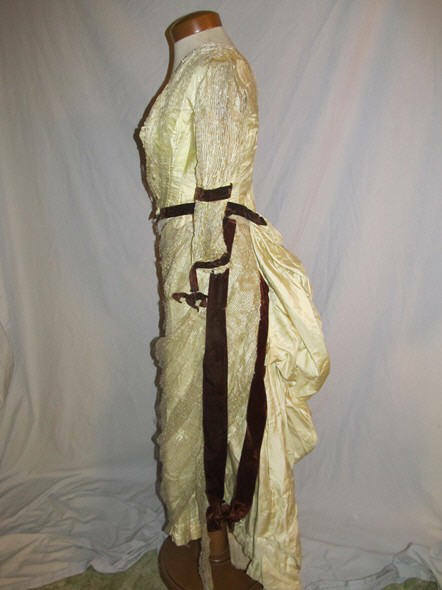 It's trimmed with wide silk velveteen ribbon in a rust color. 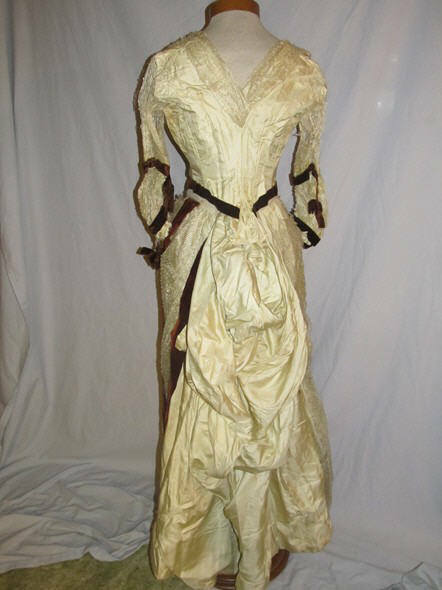 The sheer loopy fabric is in poor condition, the silk twill is Ok, but has a few small holes and scattered age spots, but there is lots of fabric to use for doll dresses or you can use it as a base for a dress to re-trim. The ribbon is excellent. 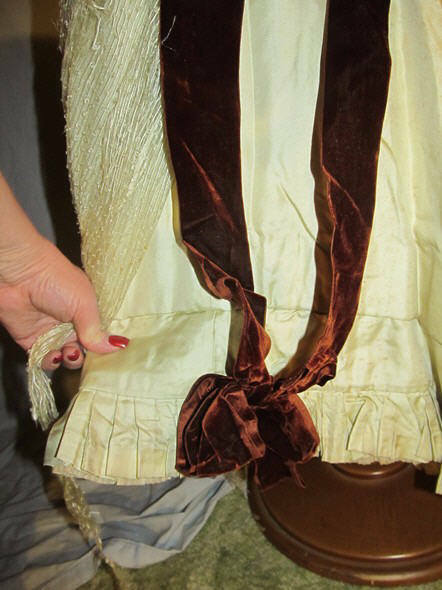 The trim on the bodice is more brown than rust, they may not have been able to make an exact match in the differnet widths of the ribbon. 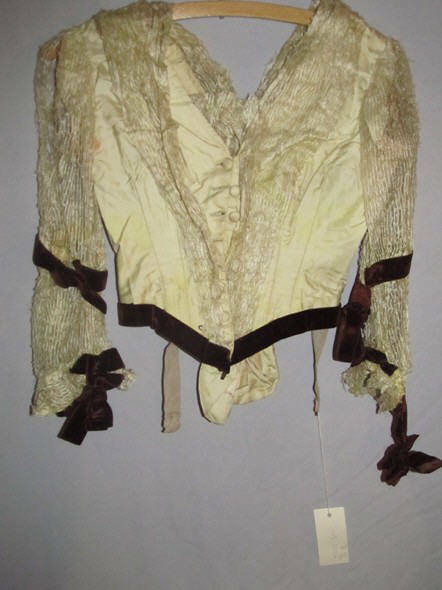 The bodice has covered buttons, lined in cotton and has boning in the seams, there are underarm stains. 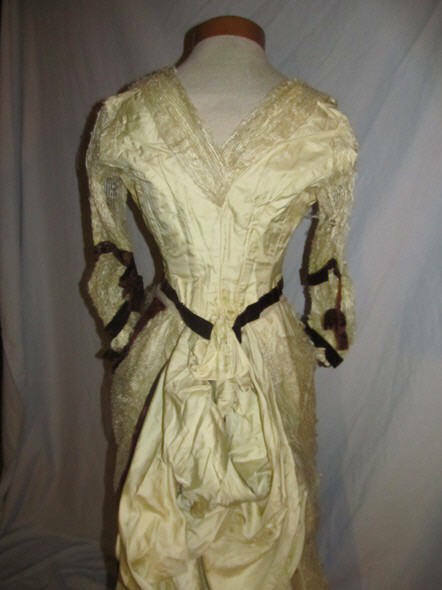 It measures 32 inches around the bust, waist is 24 1/2 inches, across the back shoulder is about 12 1/2 inches and it's 18 inches long from the shoulder to bottom of point in the center front. 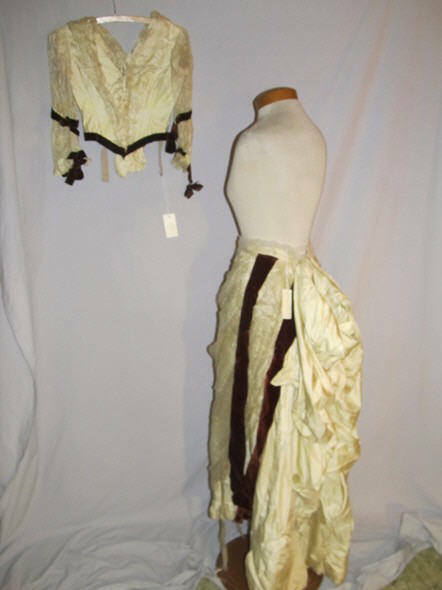 The skirt is 23 inches around the waist, hips are 44 and it's 34 inches long in front and about 40 inches long in back, there is a wide tuck across the bottom of the skirt in front to shorten it a little if you wanted the front a little longer. As is.